Virgin Atlantic Retro-Style Spoof Ad Is So Bad It's Brilliant: "Get Out Of The Office"
Ever find yourself looking out of the office window wondering why you’re at work and not on holiday? 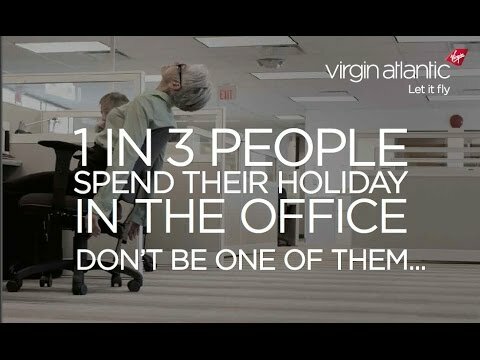 You’re not alone, apparently 1 in 3 people spend their holiday in the office, and to make that point Virgin Atlantic and adam&eveDDB created this spoof ad entitled "Get Out Of The Office." The retro-style 90-second film features the voice-over of Judith Chalmers, veteran host of U.K. travel show, Wish You Were Here. AdStasher: Virgin Atlantic Retro-Style Spoof Ad Is So Bad It's Brilliant: "Get Out Of The Office"